DAVID LE/Staff photo. 3/7/15. 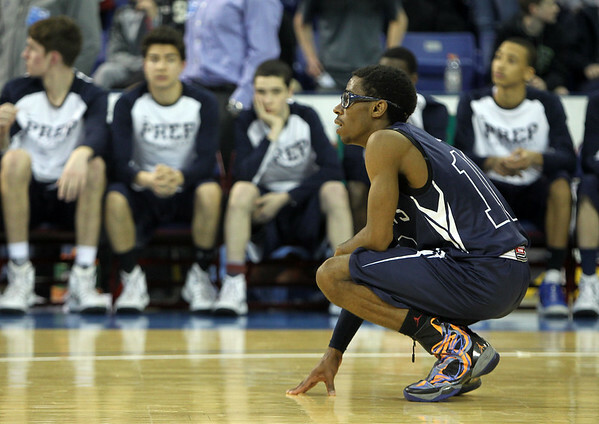 St. John's Prep senior captain Kareem Davis (10) squats on the court as Cambridge Rindge&Latin take free throws to further their lead at the end of the D1 North Championship on Saturday night.